Home Reviews CDs Dave Chamberlain’s Band of Bones: Picadillo? Yes, Madly! 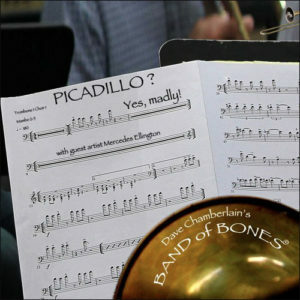 Dave Chamberlain’s Band of Bones: Picadillo? Yes, Madly! Of all the myriad ensembles out there few sound as powerfully alluring as the trombone-driven ensemble, Dave Chamberlain’s Band of Bones. Part of the reason is the sheer force of the melodic wind driven out of eight (or nine) trombones – including two bass trombones – all at once makes for a wall of brass sound like no other. But more than anything else, including the sound of so many ‘bones played together, it is the authority with which the eight (sometimes nine) part harmonies created by some of the finest arrangements for a large ensemble, as if by magic somehow, make the black dots leap off the staves paper as Dave Chamberlain’s Band of Bones proceed to make music that fills the atmosphere of a listening room. But Picadillo? Yes, Madly!, the fourth recording from this remarkable group, takes its music to another level. The repertoire of this album explores an interesting series of both vivid and limpid tunes and both kinds as played by the Band of Bones make for seductive listening. The impeccable selection includes two outstanding pieces by Billy Strayhorn and Duke Ellington. In fact one of which makes a rather rare masterpiece – a whimsical poem “The Purple People and the Green People” – written in the grand and inimitable manner by the master himself for which Band of Bones member Chris Rinaman has written incidental and background music. What makes the piece even more delightful is the recitation – one of two (the other being “Pretty and the Wolf”) – by Mr Ellington’s granddaughter, Mercedes Ellington, who captures not only Mr Ellington’s characteristically peremptory tone in her superb recitation. The other is, of course, the fact that the other vocal numbers feature the silken-voiced Antoinette Montague. 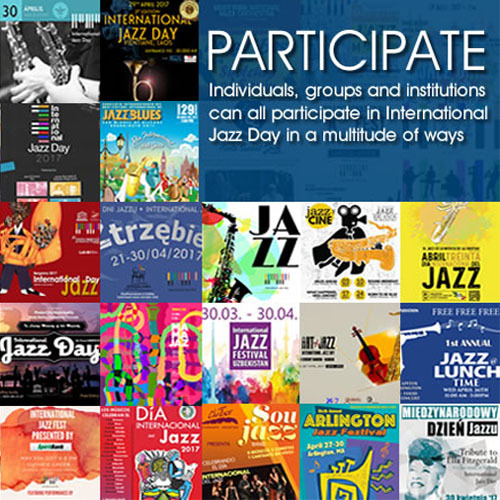 And finally there is the presence of Chembo Corniel who creates the characteristic Latin-Jazz swagger. But of course, this is a trombone record after all and the focus is on the idiosyncratic sound that emerges of the six-and-a-half feet of brass and steel pipe that twists and telescopes into various lengths and the marvellously luscious glissandos that result from the fascinating mystery how lungs-full of air passes through tantalisingly vibrating lips and out of a bell, all of which produces an warm and elegant, and often playful sound. And when eight or nine virtuosos such as those led by the prodigiously-gifted Mr Chamberlain blow this way in ensemble – or separately as they solo – the effect is mighty and breathtaking. Although there are frequent glimpses through the music of each song, the truly majestic effect is felt on Mr Ellington’s exquisite ballad “All Too Soon”.